3M - 53 General Purpose Floor Brush. For scrubbing most floor surfaces including tile, brick, vinyl, marble, stone and other uneven surfaces. Unique wedge design provides multiple cleaning edges that get uneven surfaces cleaner. Silicone carbide abrasive intended for medium-duty scrubbing of uneven surfaces. Use on low speed (175-350 RPM) rotary or automatic equipment. Designed for medium-duty scrubbing. Pad diameter 19", Center hole diameter 3 3/8", Nominal thickness 1". 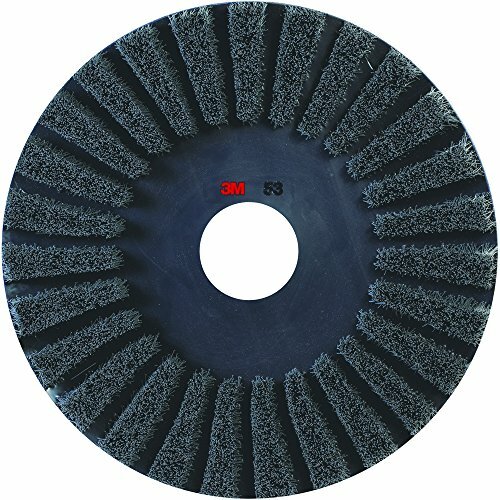 Use on low speed (175-350 RPM) rotary or automatic equipment; Pad diameter 19", Center hole diameter 3-3/8", Nominal thickness 1"
View More In Scouring Pads.